Billy Joel, Paul Simon, Stephen Tyler, Gavin DeGraw, Chick Corea. Our Ruth Eckerd Hall Family continues to grow with such awe inspiring performers, but we can’t forget a man who has shared the stage with each of those artists and more. Trumpet player, Carl Fischer, joins the Marcia P. Hoffman School of the Arts as our newest residency instructor! “To have an artist of Carl’s caliber choose the Marcia P. Hoffman School of the Arts as his “home” is an absolute honor. We are thrilled to welcome him into our teaching staff, and look forward to having him share his expertise and passion for music with our students. What a gift for all involved!” commented Vice President of Education & Outreach, The Marcia P. Hoffman School of the Arts. 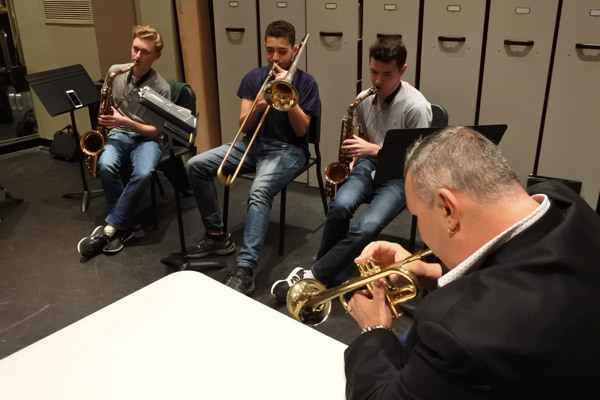 Throughout the year, Fischer will be working with our talented jazz students’ onsite along with students and music programs with our partner schools in the community. 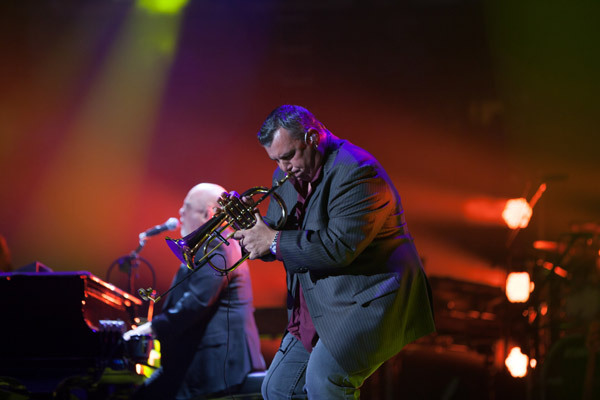 For more than 12 years, Fischer has been a member of the Billy Joel Band and its record-breaking sold-out stadium and arena tour. The band is the first franchised music act in history to have a monthly residency at the world’s most famous arena, Madison Square Garden, and will celebrate their 100th show at the Garden! Interested in our jazz courses at the Hoffman? Get the details on the current classes offered and enroll today! Summer classes will be announced soon. Stay tuned!